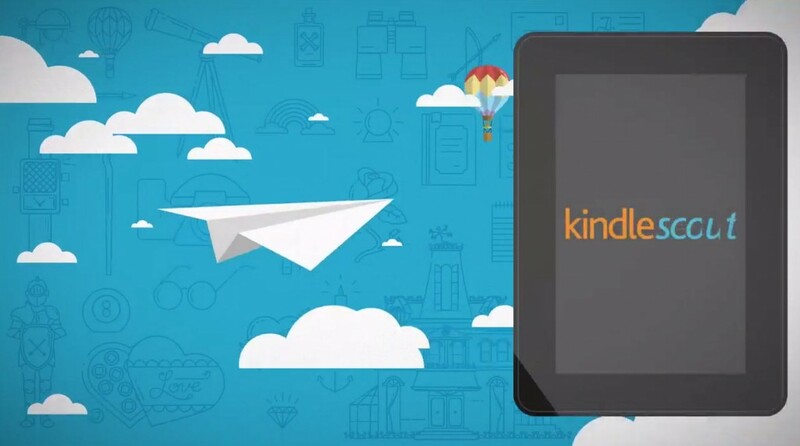 Amazon has just taken the beta sticker off their new author and reading community, Kindle Scout. The essence of this program is to give authors a chance to pitch their upcoming books to the public and readers cast their vote on what ones get published. Amazon is throwing their marketing and financial efforts behind authors to publish their next book exclusively through them. They are giving an advance of $1,500 and a 50% eBook royalty rate to authors who successfully woo the crowd to get behind their next title. The book will then get hyped with Amazon, and likely the books in the early stages of the Scout lifetime will get a ton of media attention. I think Scout is a really great idea and will assist in a huge problem in the publishing world, the dirge of indie author titles. Every week, thousands of horrendous books are released that pollute the digital ecosystem and hinder the eBook discovery process. In all honesty, indie authors are destroying literature as we know it. Scout attempts to vet out the wheat from the chafe, and hopefully we will only hear about the best of the best and not indie generic title number 19281210912. Good God, Michael do you EVER stop and think things through before throwing out a post? Well that bit you got right. Fair comment. Although you omit to mention the hundreds of top quality works that are also published every week. But let’s look at Kindle Scout beyond the Amazon press release, which seems to be as far as you bothered researching. Lazy. Journalism. In case you hadn’t noticed, Amazon already have some highly efficient publishing imprints. And Kindle Scout doesn’t come remotely close. Amazon is NOT “throwing their marketing and financial efforts behind authors to publish their next book exclusively through them.” They already have imprints to do that. Amazon are throwing a feeble $1,500, and a promise of being “eligible” for some in-house marketing, at a handful of selected titles that they will NOT edit, cover or format. The author has to do all this themselves at their own expense, and in return Amazon will shaft them with a 35% royalty rate (the 50% you quote is NET, which is rich given the only place it will be sold is on Amazon, so Amazon will take their 30% cut and then take another half of what’s left) for an ebook. No print. Scout is about one thing and one thing only – identifying books that might do well on other retail platforms, and keeping them off said other retail platforms. Yes, a select few will indeed “get a ton of media attention” – it goes without saying Amazon will manipulate its system to make sure the project is seen to be successful so the first few will be headline grabbers. After that it will join KU and KDP Select and White Glove as classic examples of Amazon desperately trying to hold on to market share by keeping indie authors exclusive, rewarding the chosen few (All-Stars, anyone?) while the rest struggle to get noticed. There is indeed a huge problem with the dirge of indie titles that should never have been released, but we all know which company set that ball rolling and continues to encourage it. Kindle Scout will do absolutely nothing to solve that issue. I have written extensivly about scout in the past and even had a beta account. Authors also have to commit to 5 years of exclusively publishing with Amazon. Amazon WILL use their marketing power to advertise the book, they said so themselves. Not company wide, but should be in the odd press release, KDP newsletter and however they talk to scout people. You’d think, though, that a guy bemoaning the poor quality of indie publishing would make sure his own work was correct before pressing Publish. So what happens when only the government can vote on what is published? What scurrilous comments you make about Indie authors and their publications ! What absolute rubbish ! 75% of the stuff published by so called mainstream publishers and the establishment is not worth reading and disappears down the cracks. Likewise with Indie publishing, the rubbish falls down the cracks, and the good stuff gets read. Dear sir, where is the comment I submitted last night, and why is it not appearing on the site? It was respectful, though candid. I’m confused.